Israeli PM Benjamin Netanyahu. Image from Twitter. While some analysts believe Israel is approaching a ‘post-Netanyahu era’, Doron Matza argues that regardless of Netanyahu’s personal future, his broadly pragmatic diplomatic, security and economic policies – rather than his sometimes aggressive rhetoric – enjoy a wide ideological consensus within Israeli society. In light of this, regardless of who wins the election, these policies are likely to continue for the foreseeable future. 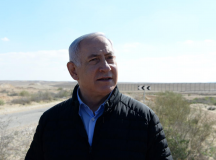 Israel’s 2019 elections have been focused on one thing and one thing only – Benjamin Netanyahu and his future. One even gets the impression that Israel has never had a campaign so focused on personality. The term ‘political upset’ [mahapach], first used to describe Likud’s 1977 victory that brought it to power for the first time, is now being used to discuss the question of whether Netanyahu will continue to serve as prime minister or whether we’re nearing the end of his decade-long reign. Many believe that even if Netanyahu succeeds in forming the next coalition – as polls currently suggest – the question of his political future will remain on the public agenda due to the upcoming hearing and the possibility that the Attorney General will decide to indict him after a pre-trial hearing. In light of this, some analysts argue that regardless of the election results, we are already approaching a post-Netanyahu era. I disagree. Israel currently enjoys a wide ideological consensus surrounding key issues on the state’s political, economic and social agenda. This consensus is so widespread that it is hard to find any significant difference of approach between the main political forces competing in the elections. 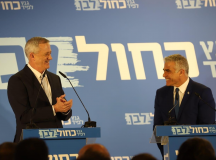 It is thus no surprise that most parties have focused their political campaigns on individual personalities, accusations of Netanyahu’s corruption, or the relative ability of Netanyahu to run the country compared to his main opponent, Benny Gantz. In some way, the consolidation of this consensus is a reaction against the experiment pushed by the Labor party and liberal elites in the mid-1990s. Yitzhak Rabin’s government of 1992 tried to advance two dramatic processes simultaneously: the first was a utopian peace process, including not only peace between Israel and the Palestinians and Israel and its Arab neighbours based on land for peace but also the establishment of Shimon Peres’ New Middle East. The second process was the attempt to turn Israeli society away from its cultural Jewish foundation into a liberal, cosmopolitan model, a society based on an abstract civic identity similar to those of Western European states. Both these attempts completely failed. Since then, Israel has trodden the path of ‘fixing’ these policies and returning the equilibrium to an earlier pre-1990s period. And it is Netanyahu who has played a key role in establishing an alternative approach based on the idea which we can call the ‘Middle Ground’. 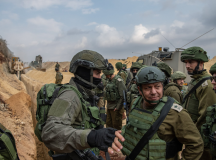 At its core, this approach requires Israel to stop striving to achieve optimal goals and instead to advance a more realistic approach to policy making – both politically/strategically and socio-economically. Strategically, this has meant Israel moving away from the two-state paradigm and final-status agreements but also refraining from promoting the annexation of the West Bank or granting Israeli citizenship to Palestinians. In the socio-economic realm, it has involved the adoption of a neo-liberal approach while also trying to soften its flaws, especially since the summer 2011 social protests. This Middle Ground concept has achieved a number of successes. Israel has maintained relative security and stability in the West Bank, carrying out security and economic cooperation with the Palestinian Authority (while both sides simultaneously battle one another in the international-diplomatic arena); Israel has fought Hamas but without pushing to reoccupy Gaza and topple it; without attacking Iran directly, Israel has tried to curb that country’s nuclear project and been active in Syria to prevent the Islamic Republic turning Syria into a forward base; Israel has also managed to revolutionise its relations with the Arab world, and has even somewhat unknotted the connection between regional normalisation and peace with the Palestinians. Meanwhile, Israel’s economic pragmatism has allowed it to ride out the financial crash, establish its status as a high-tech superpower, and provide its citizens with a good quality of life. 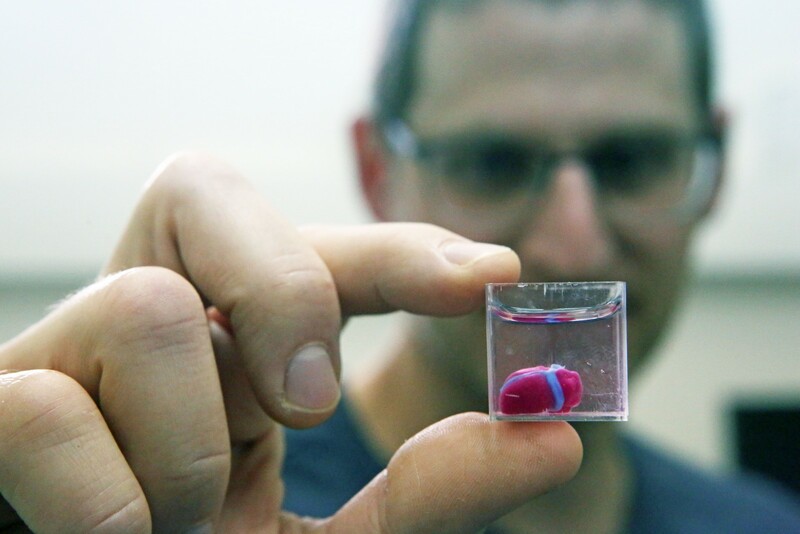 While this unsentimental conceptual framework converged with a sobering process within Israeli society following the utopian and optimistic visions from the 1990s, it actually has deep historical roots. 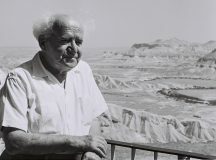 To a large extent, this realist approach was based on the principles established by David Ben-Gurion and the early leaders of the Labor party. According to this logic, Netanyahu’s premiership over the last decade – excluding his specific style, rhetoric and ethos – actually represents a form of returning Zionism to it ideological and historical sources. Yet even though Netanyahu has followed Ben-Gurion’s path by adapting a realistic and pragmatic approach, he has done so while advancing revisionist rhetoric, which has created a gap between considered and careful policies on the one hand, and the aggressive and sharp discourse completely at odds with traditional Israeli leadership on the other. One example of this tension between belligerent discourse and careful policy can be found in Gaza. On the one hand, the government makes aggressive declarations towards Hamas. Yet at the same time it has been hesitant to initiate rounds of conflict and prefers arrangements with Hamas via Egypt and Qatar. Another example of this gap between discourse and policy can be found in the Nation State Basic Law. The Law didn’t change anything significant in terms of the reality. It kept the definition of the identity of the State of Israel and maintained the principles that give the collective right of the Jewish people preference in designing the national agenda, determining the character of the public sphere, and deciding on the division of state resources. Moreover, Netanyahu’s government has spent billions of dollars in advancing one of the largest ever plans to help the Arab sector and aid its integration into the national economy. But by formalising this reality through legislation, Netanyahu took the sensitive issue of Jewish-Arab relations and brought it onto the public agenda in an aggressive way. Despite the tension between aggressive discourse and carefully considered policy, Netanyahu has succeeded in gaining the trust of the Israeli public, to the extent that it has seemingly rejected the arguments Netanyahu’s opponents make focusing on corruption and instead drawing a distinction between corruption investigations and the way in which Netanyahu manages the affairs of the country. Netanyahu’s approach hasn’t just become accepted within the Israeli public but has also taken hold within the political system. The establishment of ‘Blue and White,’ headed by three former Chiefs of Staff, reflects both the expansion of this realist paradigm and its turning into the political centre of gravity within Israeli society and politics. Anyone who reads Blue and White’s manifesto will notice the similarities with the positions of Netanyahu in almost every area – especially in major diplomatic and economic issues. Even in the major round of interviews given by Gantz, he presented centrist, realist positions. Gantz was at pains not to oppose the word ‘peace’ but also warned in the same breath against the possibility of reaching an agreement with the Palestinians based on the Clinton Parameters and the principle of two states for two peoples. Within Blue and White’s list, one notices a distancing from the ideological idea that defined Israel during the 1990s. Yair Lapid, head of Yesh Atid (one of the party’s main components) previously sat in Netanyahu’s cabinet, served as Finance Minister and formed a political alliance with then head of Jewish home, Naftali Bennett, who represents the national religious community and settlers in the West Bank. 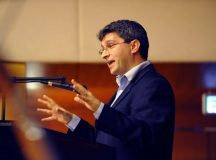 Other individuals on the list – such as former Cabinet Secretary Tzvi Hauser – are identified ideologically and politically with Likud. In many senses, despite election soundbites that try to blur the truth, this election campaign is hiding these trends towards the ideological convergence within the political system. Blue and White is playing in the same ideological field as Likud apart from two main differences that have turned into the main arguments for the elections. 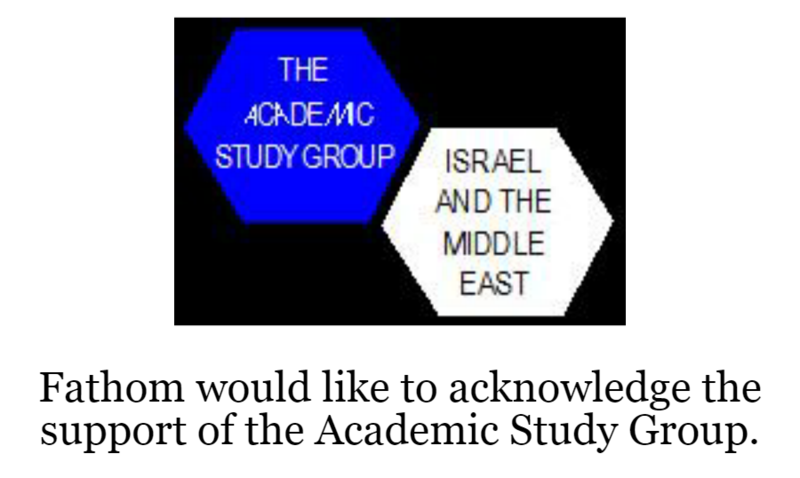 The first – argued by Blue and White – relates to the style of Netanyahu towards different sectors within Israeli society and as regards corruption. The second – which is argued by Likud – is the difference between those such as Netanyahu who have been governing for 10 years versus everyone else. In any event, the ideological similarity between the two main parties indicates the process of ideological hegemony within the State of Israel based on a realist-sober (some would say cynical) approach, which tends to prefer the middle ground over absolute approaches. And during the last decade, Netanyahu has not only identified the direction of the trend but has also successfully and skilfully utilised it to further the state’s national interests. The current political noise in the election cycle testifies to the presence of this ideological paradigm and its strength. Regardless of the results, there won’t be any ideological upset, which is why the word mahapach is being used solely to refer to Netanyahu losing the premiership. 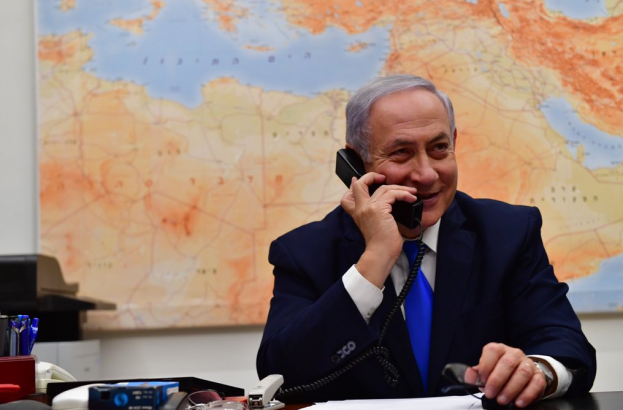 Even if such a thing were to happen, Netanyahu’s policies – rather than his rhetoric – have already won out in this election cycle and he has bequeathed the principles of his approach that will define the policies of the next government.